If you’re planning for a family vacation that includes flying somewhere with the kids, you want to make sure that they stay comfortable throughout the flight, especially long-haul flights. While any airline can bring you to your destination safely, only a few airlines offer additional services for the comfort of your kids. Here are some of the family-friendly services to look for in an airline for your next family vacation trip. Carrying a baby in your arms for the entire duration of the flight can wear you down. Other than brining your own child seat, some airlines can provide this for you free of charge. British Airways, for example, provides carrycots as long as you inform them in advance, so they can place you in a seat that can fit them. Another one is Virgin Atlantic, taking it a step higher by providing child seats that fit to all of their airbus seats. Keeping kids entertained in long-haul flights is the top priority of every parent. The best airlines try to keep little passengers entertained by offering an array of in-flight entertainment options. JetBlue plays Nickelodeon and Animal Planet for flights over two hours and reading activity materials for shorter flights. However, Asiana takes it to a whole new level with entertainment offerings such as in-flight magic shows, face painting, arts and crafts and even cooking and baking class for long-haul flights. Some airlines offer in-flight nannies, like Etihad Airways which offers this service free of charge. Called ‘Etihad Airways Flying Nannies,’ these professionals received childcare training before flying. Likewise, Gulf Air has its own on-board nannies. These child flight attendants help you with your children’s needs and help keep your kids entertained. Some on-board nannies can even perform magic tricks and do face painting and arts and crafts. Kids get grumpy when they are hungry. To keep your child full and happy, book an airline that offers unlimited kids snacks. Qantas offers this, as well as JetBlue. 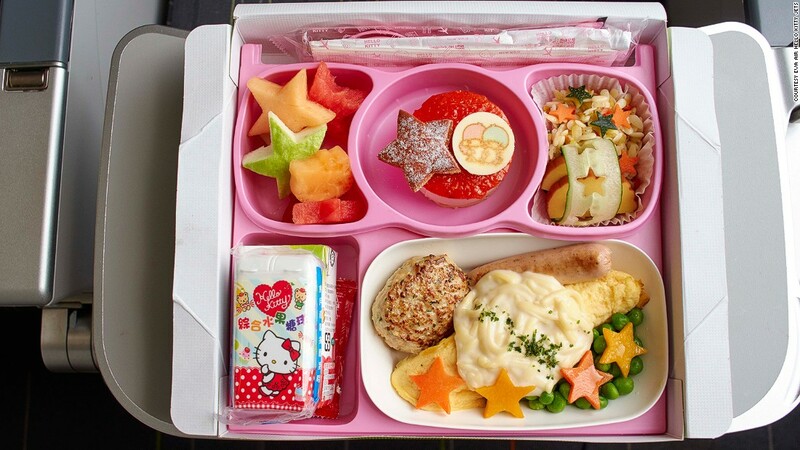 On the other hand, Singapore Airlines offer meals especially prepared for kids. The airline also provides general baby amenities like diapers, feeding bottles, disposable bibs, baby wipes and bassinets. Since flying with children can be a potential nightmare, book your flight with a kid-friendly airline to help you take care of the little tots. Though your children can be stubborn at times, you still want them to relax and enjoy the vacation.